Although nitrous oxide (N2O) on its own can safely be used for short periods of time, it’s safer to mix it with oxygen (O2) for longer periods of use. 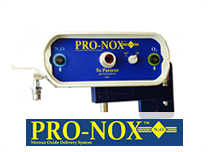 Many dental offices utilize N2O-O2 with a mix of about 70% oxygen to 30% nitrous oxide. At Renew MediSpa we use a lower percentage – 50%/50%- which you administer yourself during the course of your treatment, according to your needs and discomfort level. You can’t be allergic to N2O. It’s also safe to use if you suffer from epilepsy, liver disease, heart disease, diabetes, or cerebrovascular disease. It is also used quite successfully in many people with respiratory disease – but it depends on the exact nature of the disease. 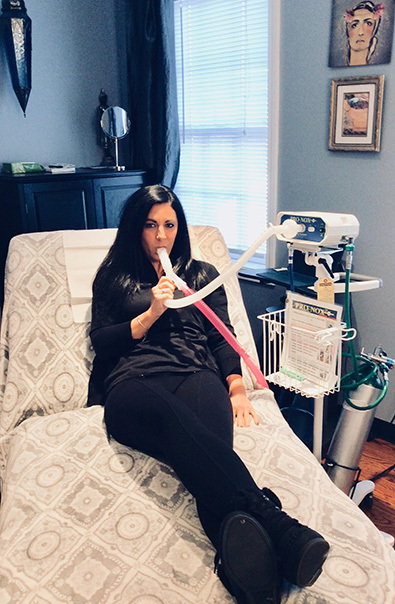 Many of our procedures now include the Pro Nox option at no additional charge. You will, however, need to request it in advance for some procedures if you want to be sure the system will be available at the time of your procedure. There is no additional charge for ProNox for clients undergoing Ultherapy, Profound RF, SculpSure laser, TruSculpt 3D, Thread Lifting, and Kybella®. We are excited to now offer this technology at Renew MediSpa, to further enhance your comfort during procedures. If you’re interested in learning more about Pro Nox, call us today to schedule your appointment.